All works fine, but my CPU Core2Duo E7200 initializing as Pentium IV 2,40 GHz. Specify DX9 and DX10 executables. 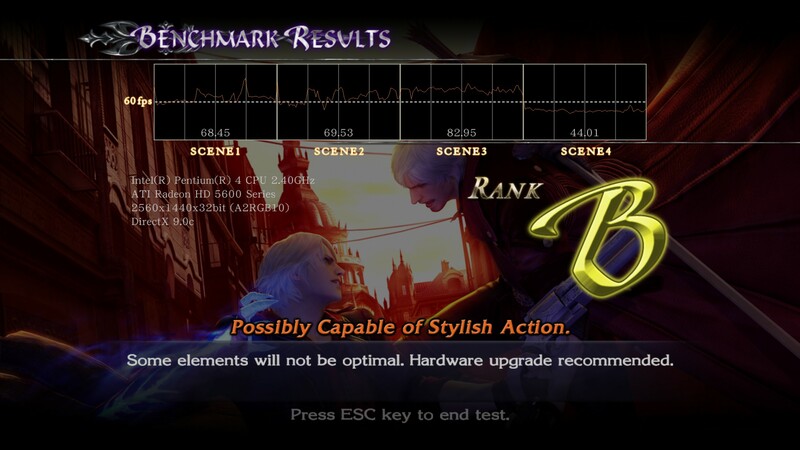 Make a mention of your hardware specs. 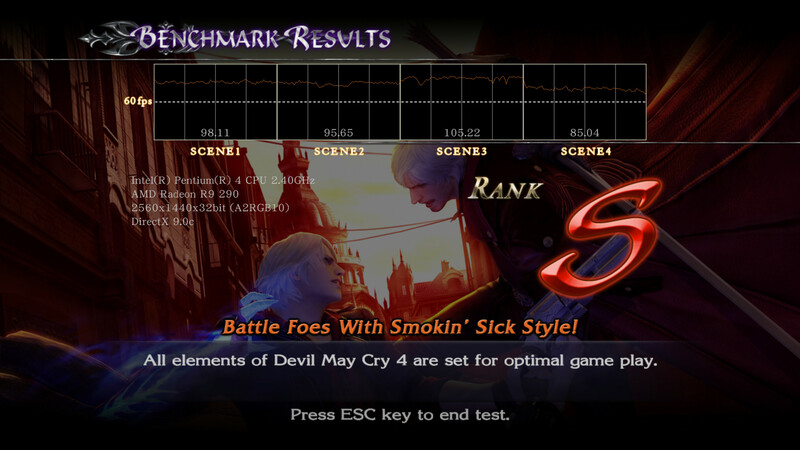 If you are discussing performance, keep in mind Devil May Cry 4 supports 120 fps and has a benchmarking tool. Consider two milestones, 120 fps and 60 fps. 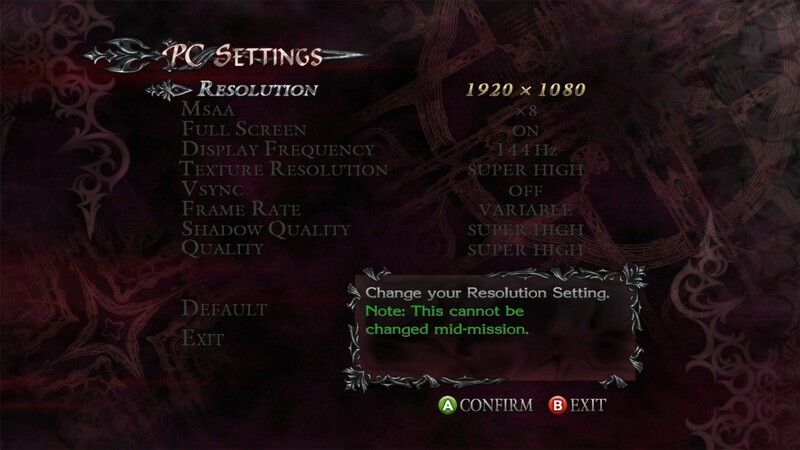 Given the same hardware, do not rate Platinum or Gold if the game runs above >= 120 fps natively, but is limited to >= 60 and < 120 fps on Wine. Please disclose any deviations from a default wine configuration.